THE STORYTELLER debuted as #2 on the NYT paperback list! 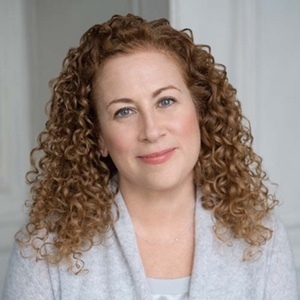 This is a powerful and riveting, sometimes gut-wrenching, read, in which the always compelling Picoult brings a fresh perspective to an oft-explored topic. Jodi chats with the BBC about The Storyteller. Sage Singer, a baker, and 90-year-old Josef Weber, are unlikely friends. Then Josef asks her for a favor - to help him die - because he used to be a Nazi. What he doesn't know is that Sage's grandmother is a Holocaust survivor. Sage Singer is a baker. She works through the night, preparing the day’s breads and pastries, trying to escape a reality of loneliness, bad memories, and the shadow of her mother’s death. When Josef Weber, an elderly man in Sage’s grief support group, begins stopping by the bakery, they strike up an unlikely friendship. Despite their differences, they see in each other the hidden scars that others can’t, and they become companions. Everything changes on the day that Josef confesses a long-buried and shameful secret—one that nobody else in town would ever suspect—and asks Sage for an extraordinary favor. If she says yes, she faces not only moral repercussions, but potentially legal ones as well. With her own identity suddenly challenged, and the integrity of the closest friend she’s ever had clouded, Sage begins to question the assumptions and expectations she’s made about her life and her family. When does a moral choice become a moral imperative? And where does one draw the line between punishment and justice, forgiveness and mercy? 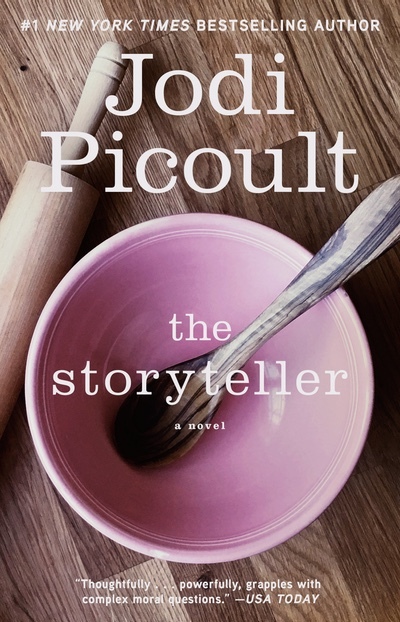 In this searingly honest novel, Jodi Picoult gracefully explores the lengths we will go in order to protect our families and to keep the past from dictating the future. Boy, I always look forward to hearing readers’ reactions to this book. It’s different. Grueling. There’s no trial. A third of it takes place over seventy years ago. There’s a Gothic fairytale embedded in it. It’s just not your usual Jodi Picoult novel. So what made me write it? This book actually began with another book – Simon Wiesenthal’s THE SUNFLOWER. In it, Mr. Wiesenthal recounts a moment when, as a concentration camp prisoner, he was brought to the bedside of a dying Nazi, who wanted to confess to and be forgiven by a Jew. The moral conundrum in which Wiesenthal found himself has been the starting point for many philosophical and moral analyses about the dynamics between victims of genocide and the perpetrators…and it got me thinking about what would happen if the same request was made, decades later, to a Jewish prisoner’s granddaughter. Naturally, this research was among some of the most emotionally grueling I’ve ever done. I met with several Holocaust survivors, who told me their stories. Some of those details went into the fictional history of my character, Minka. It was humbling and horrifying to realize that the stories they recounted were non-fiction. Some of the moments these brave men and women told me will stay with me forever: such as Bernie, who pried a mezuzah from his door frame as the Nazis dragged him from his home, and held it curled in his fist throughout the entire war – so that it took two years to straighten his fingers after liberation. Or how his mother promised him that he would not be shot in the head, only the chest – can you imagine making that promise to your child?! Or Gerda – who won the Presidential Medal of Freedom, and who survived a 350 mile march in January 1945 – because, she told me, her father had told her to wear her ski boots when she was taken from home. Or Mania, whose mastery of the German language saved her life multiple times during the war, when she was picked to work in office jobs instead of in hard labor; and who told me of Herr Baker, her German boss at one factory, who called the young Jewish women who were assigned to him Meine Kinder (my children) and who saved his workers from being selected by the Nazis during a concentration camp roundup. At Bergen Belsen, she slept in a barrack with 900 people and contracted typhoid – and would have died, if the British had not come then to liberate them. I also had the pleasure of interviewing the director of Human Rights Enforcement Strategy and Policy in the Human Rights & Special Prosecutions section of the Department of Justice – a real-life Nazi hunter. Lest you wonder why this topic is still important, even after nearly 70 years – here’s a story he told me. Years ago, after extensive work, his department finally was ready to question an elderly man who had been a Nazi guard and who was now living in the Midwest. When law enforcement professionals surrounded his house, he came outside and looked at the guns and said, “Why you shoot? I not Jew.” Seventy years may have passed, but prejudice is alive and well. I did not realize that the US does not have the ability to prosecute Nazis found within its borders. Until 2007, in fact, the US Genocide statute only covered genocides perpetrated by US citizens against US citizens within the US – basically, Custer’s Last Stand. As of 2007 we can now prosecute an act of terrorism against an American elsewhere in the world. Also, as of 2007, if you commit genocide anywhere in the world and hide out in the US, we can prosecute. However, for war crimes prior to 2007 we can only identify the perpetrators, denaturalize them, and deport them for immigration violations…then get European countries to prosecute them. A lot of people will ask me why, after all the Holocaust literature that has been written, I wanted to tackle this subject. I am agnostic, but I was raised by Jewish parents and so, like Sage, I find myself in the odd situation of being a spokesperson for a religious group I do not personally affiliate with anymore. And yet, someone has to be that spokesperson. Am I more qualified because I have relatives who died in concentration camps? That’s not for me to say. But some stories need to be told, and this is one of them, even though naysayers will insist that it’s ludicrous to hunt down ninety year old men at this point. But…is it? There’s no statute of limitations on murder. And isn’t it hypocritical for America to remove hundreds of thousands of illegal aliens whose only crime is that they’ve overstayed their visas…yet still let former war criminals live peacefully in our suburbs? If we have a moral responsibility to the past, it’s to make sure that history like this doesn’t repeat. And that means making sure survivors know their government cares enough to make sure they don’t have to run into their tormentors at the grocery store. Perhaps by doing this, we are also sending a message to the person who, in another far away genocide, is thinking of pulling a trigger because a dictator has told him to do so. Maybe that person will remember that no matter how long it takes, for the rest of his life, this government will pursue him. And maybe that will be enough to make him put down the gun. That’s why I wrote this book. Because stories matter, and there are six million people who did not have the opportunity to tell theirs. Sage has been a part of the grief group for three years. Why has she stayed? The paradox of loss: How can something that’s gone weigh us down so much? (p.11) Discuss. When Sage’s father died, Sage “dropped out” of college. What dramatic action did her mother take to ensure that Sage finished school? How do Rocco’s and Mary’s characters tell you more about Sage? Obviously baking is more than a job to Sage (p.19) Do you have a job that transforms you as baking does for Sage? How did Sage and Adam meet? Why was Sage so willing to take up with a married man? How “religious” is Sage’s family? Does this matter, given what happens to her? “Sharing a memory with someone is different from reliving it when you are alone.” (p.41) Discuss. How do Mary, Sage, Rocco, and Josef react to the image of God in the loaf of bread? How do you think you would react? What request does Josef make of Sage? What do you think you would do? The periodic pages in italics are a continuing story—a Gothic fairy tale. In what ways does it parallel the present day story? The one in Minka’s narrative? In what way does this frame story-within-a-story add to the moral dilemma Sage faces? Why does Sage go to the police station? Would you do the same? Why or why not? When Jews were being taken by the Nazis, many Germans turned a blind eye. How easy would that be to do? Grandma Minka and her father were also bakers. How important are the family recipes? The baking of special breads? Is baking a metaphor for something else in this book? “If my grandmother could reinvent herself, why not Joseph Weber?” (p. 67) Have you ever had the opportunity/desire to reinvent yourself? Did it work/help? What is Leo Stein’s job at the Justice Department? Why is Sage’s phone call to him so unusual? Leo has a passion for his job as a Nazi hunter. Why does he think it’s important? “If you hide long enough, a ghost among men, you might disappear forever without anyone noticing. It’s human nature to ensure that someone has seen the mark left behind.” (p. 98) Discuss. Does Josef have the right to ask Sage to forgive him? Why or why not? Josef tells his background of growing up in Germany as Hitler was rising to power. His explanation makes it easy to see and understand how a person could be influenced by the propaganda. (p.114) Discuss. Joseph explains how you can develop brutality. (P. 120) Discuss his explanation in terms of bullying today. Sage wonders “my grandmother, had she been one of those who walk toward the gun? Was it a mark of weakness, or of courage?” (p.124) Discuss. Josef compares the Nazi beliefs to organized religion. How is it the same? How is it different? (p. 139) Discuss. Josef/Reiner’s brother, Franz, says “Power isn’t doing something terrible to someone who’s weaker than you. It’s having the strength to do something terrible and choosing not to.” (p. 146) In what ways does this reflect upon the actions of Reiner? Franz? Sage? What does the meeting of Leo and Sage tell us about Leo’s personality? “So everyone from the guards to the bean counters at Auschwitz is culpable for what happened there, simply because they were aware of what was going on inside it’s fences, and performed their duties.” (p. 178) Do you agree? Disagree? Discuss. “Morality has nothing to do with religion” she says. “You can do the right thing and not believe in God at all.” (p. 187) Do you agree? Who is the author of the fairy tale? What purpose has it served for her? What happens while Minka and Josek are having coffee at the Astoria Café? How does that change Minka’s life forever? What is the importance of having Christian papers? If you were Minka, would you have used them? What does Rubin do to save his son? What does Basia do to save Rubin? How have their circumstances changed their actions? What is Herr Fassbinder’s intention in demanding more workers, especially mothers and children? Do you believe that he should be lauded for his actions, or condemned for not doing more? Minka and her family learn the fate of her mother. Why is it so unbelievable to them? What happens to Majer when he and Basia are hiding in the cellar? What does Basia do? Why does Minka want to be with Aron? If you had to pack your whole life in one suitcase, what would you take? While working in Kanada, going through luggage, Minka comes across her father’s suitcase. What does she do with her father’s sweater? Why is this a pivotal moment? Why does Minka start stealing photographs? What does she end up using them for? What purpose does the fairy tale serve for the Hauptscharfuhrur? How has the fairy tale evolved from when Minka first wrote it until the time she is writing for the Hauptscharfuhrur? “There was no black and white. Someone who had been good her entire life could, in fact, do something evil. Ania was just as capable of committing murder, under the right circumstances, as any monster.” Discuss. When Minka and Darija see the bride, dressed in white, it gave them hope. Why? Minka helps the Hauptscharfuhrur by telling him about his brother fighting. Why does she risk doing this? The Hauptscharfuhrur reads Minka’s fairy tale and notes “Fascinating, to think of violence being just as intimate as love.” Discuss. How does the Hauptscharfuhrur save Minke’s life? (p. 334) Why do you think he does that? “If you knew you were going to die, wasn’t it better to choose the time and place, instead of waiting for fate to drop on you like an anvil? (p. 335) Discuss. “Sometimes all it takes to become human again is someone who can see you that way, no matter how you present on the surface.” (p. 352) Discuss. “So you see, this is why I never told my story. If you lived through it, you already know there are no words that will ever come close to describing it. And if you didn’t, you will never understand.” (359) Discuss. “Forgiving isn’t something you do for someone else. It’s something you do for yourself.” (p. 453) Discuss. What do you think Josef really wants to be forgiven for? Would you have forgiven Josef? Why do you think Josef lied? As she often does, the author has a double meaning for the title. The storyteller could be several people and mean different things. Discuss. There are groups that say the Holocaust never happened. As we get farther and farther away from World War II, fewer people are alive who would remember. Why is this story still relevant? The Storyteller has been nominated for the 2015 International IMPAC DUBLIN Literary Award. Books are nominated for this prestigious international fiction award by invited public libraries in cities throughout the world. Titles are nominated on the basis of 'high literary merit'. The prize is €100,000 which is awarded to the author if the book is written in English. On the second Thursday of the month, Mrs. Dombrowski brings her dead husband to our therapy group. I stand frozen, ducking my head so that my hair covers the left side of my face, like I usually do. I’m sure there’s a protocol for meeting a spouse who’s been cremated but I’m pretty much at a loss. Am I supposed to say hello? Shake his handle? “Wow,” I finally say, because although there are few rules to this group, the ones we have are steadfast: be a good listener, don’t judge, and don’t put boundaries on someone else’s grief. I know this better than anyone. After all, I’ve been coming for nearly two years, now, since my mother’s death. “He’s not a something, he’s a someone,” Mrs. Dombrowski says. I step away as they start to argue and head for the bathroom down the hall. Staring into the mirror, I pull my hair back from my face. The scar is silver now, ruched, rippling my cheek and my brow like the neck of a silk purse. Except for the fact that my eyelid droops, skin pulled too tight, you might not realize at first glance that there’s something wrong with me – at least that’s what my friend Mary says. But people notice. They’re just too polite to say something, unless they are under the age of four and still brutally honest, pointing and asking their moms what’s wrong with that lady’s face. Even though the injury has faded, I still see it the way it was right after the accident: raw and red, a jagged lightning bolt splitting the symmetry of my face. In this, I suppose I’m like a girl with an eating disorder, who weighs ninety-eight pounds sees a fat person staring back at her from the mirror. It isn’t even a scar to me, really. It’s a map of where my life went wrong. This man is a new here; he’s only been coming for two weeks. He has yet to say a single word during a session. Yet the first time I saw him, I recognized him; I just couldn’t remember why. Now, I do. The bakery. He comes in often with his dog, a little dachshund, and he orders a fresh roll with butter and a black coffee. He spends hours writing in a little black notebook, while his dog sleeps at his feet. “Can a person not be two things at once?” he asks, and slowly, he walks away. My boss, Mary DeAngelis, used to be Sister Mary Robert, a nun. One Easter, when she heard the priest say He is risen she had a vision. Six months later, she opened Our Daily Bread at the Foothills of the Our Lady of Mercy Shrine in Westerbrook, NH. It was a fair-weather shrine; business dropped off dramatically during New England winters. Which was Mary’s selling point: what could be more secular than freshly baked bread? The only catch was that she had no idea how to bake. I started baking when I was twenty years old and my father died unexpectedly. I was at college, and went home for the funeral, only to return and find nothing the same. I stared at the words on textbooks as if they had been written in a language I could not read. I couldn’t get myself out of bed to go to classes. I missed one exam, then another. I stopped turning in papers. Then one night I woke up in my dorm room and smelled flour – so much flour I felt as if I’d been rolling in it. I took a shower but couldn’t get rid of the smell. It reminded me of Sunday mornings as a kid, when I would awaken to the scent of fresh bagels and bialys, crafted by my father. He’d always tried to teach my sisters and me, but mostly we were too busy with school and field hockey and boys to listen. Or so I thought, until I started to sneak into the residential college dining hall kitchen and bake bread every night. I left the loaves like abandoned babies on the thresholds of the offices of professors I admired, of the dorm rooms of boys with smiles so beautiful that they stunned me into awkward silence. I left a finial rail of sourdough rolls on a lectern podium and slipped a boule into the oversized purse of the cafeteria lady who pressed plates of pancakes and bacon at me, telling me I was too skinny. On the day my academic advisor told me that I was failing three of my four classes, I had nothing to say in my defense; but I gave her a honey baguette seeded with anise, the bitter and the sweet. I wound up being on the five-year-plan, but I did graduate. My mother stood up and whistled through her teeth when I crossed the stage to get my diploma. And then everything went to hell. I’ve thought a lot about it: how you can ricochet from a moment where you are on top of the world to one where you are crawling at rock bottom. I’ve thought about all the things I could have done differently, and if it would have led to another outcome. But thinking doesn’t change anything, does it? And so afterward, with my eye still bloodshot and the Frankenstein monster stitches curving around my temple and cheek like the seam of a baseball, I gave my mother the same advice she had given me. If I don’t get to give up, then neither do you. She didn’t, at first. It took almost six months, one bodily system shutting down after another. I sat by her side in the hospital every day, and at night went home to rest. Except, I didn’t. Instead, I started once again to bake – my go-to therapy. I brought artisan loaves to her doctors. I made pretzels for the nurses. For my mother, I made her favorite – cinnamon rolls, thick with icing. I made them daily, but she never managed a bite. It was Marge, the facilitator of the grief group, who suggested I get a job, to help me forge some kind of routine. Fake it until you make it, she said. But I couldn’t stand the thought of working in broad daylight, where everyone would be staring at my face. I had been shy before; now I was reclusive. Mary says it’s divine intervention that she ran into me. Me, I don’t believe in God; I think it was pure luck that the first Classifieds section I read after Marge made her suggestion included an ad for a master baker – one who would work nights, alone, and leave when customers began to trickle into the store. At the interview Mary didn’t comment on the fact that I had no experience, no significant summer jobs, no references. But most importantly, she took one look at my scar and said, “I’m guessing when you want to tell me about that, you will.” And that was that. Later, as I got to know her, I’d realize that when she gardens, she never sees the seed. She is already picturing the plant it will become. I imagine she thought the same, meeting me. Baker’s hours can do strange things to a brain. When your workday begins at 5 PM and lasts through dawn, you hear each click of the minute hand on the clock over the stove, you see movements in the shadows. You do not recognize the echo of your own voice; you begin to think you are the only person left alive on earth. I’m convinced there’s a reason most murders happen at night. The world just feels different for those of us who come alive after dark. It’s more fragile and unreal, a replica of the one everyone else inhabits. I’ve been living in reverse for so long now that it’s not a hardship to go to bed when the sun is rising; and to wake when it’s low in the sky. Most days this means I get about six hours of sleep before I return to Our Daily Bread to start all over again, but being a baker means accepting a fringe existence, one I welcome whole-heartedly. The people I see are convenience store clerks, Dunkin Donuts drive-through cashiers, nurses switching shifts. And Mary, who close up the bakery shortly after I arrive. She locks me in, like the princess in Rumplestilskin, not to count grain but to transform it before morning into the quick breads and yeasted loaves that fill the shelves and glass counters. I am already well into making the one hundred pounds of product I make every night by the time I hear Mary start to close up. Rinsing my hands in the industrial sink, I pull off the cap I wear to cover my hair while I’m working and walk to the front of the shop. I hear a bark, and realize that the bakery isn’t empty. The one lone customer is Mr. Weber, from my grief group, and his tiny dog. Mary sits with him, a cup of tea in her hands. “You know Josef?” Mary asks. Grief group is like AA – you don’t “out” someone unless you have his permission. “We’ve met,” I reply, shaking my hair forward to screen my face. “It’s okay,” I tell him, crouching down with relief to pat the dog. Animals never stare. Mr. Weber slips the loop of the leash over his wrist and stands. “I am keeping you from going home,” he says apologetically to Mary. “Not at all. I enjoy the company.” She glances down at the old man’s mug, which is still three-quarters full. I don’t know what makes me say what I say. After all, I have plenty to do. But it has started to pour, now, a torrential sheet of rain. The only vehicles in the lot is Mary’s Harley, which means Mr. Weber is either walking home or waiting for the bus. “You can stay until Advanced Transit shows up,” I tell him. He nods in gratitude and sits down again. As he cups his hands around the coffee mug, Eva stretches out over his left foot and closes her eyes. “You invited him to stay,” Mary reminds me. “I’ve never heard of him,” I murmur. “That’s because you live under a rock,” Mary says. “Or in a kitchen.” When you sleep all day and work all night, you don’t have time for things like newspapers or television. It was three days before I heard that Osama Bin Laden had been killed. I watch her open the rear door of the bakery. She ducks at the onslaught of driving rain and waves without looking back. I close the door behind her and lock it. My gaze locks on his. There is a rule that, at group, we are not pressed to share if we’re not ready. Certainly Mr. Weber hasn’t been ready; it seems rude that he’d ask someone else what he himself isn’t ready to share. But then again, we aren’t at group. He nods in sympathy. “I am sorry for your loss,” he says stiffly. I don’t even know how to respond to that. My grandma is always talking about how at her age, her friends are dropping like flies. I imagine for Mr. Weber, the same is true. “A few years,” I answer. “Anyone can bake bread,” I say. From the kitchen comes the sound of the timer buzzing; it wakes up Eva, who begins to bark. Almost simultaneously there is a sweep of approaching lights through the glass windows of the bakery as the Advance Transit bus slows at its corner stop. “Thank you for letting me stay a bit,” he says. His face softens. “Please. Call me Josef.” As he walks out of the bakery he squints into the bright beams of the bus. I hold up the black book and walk toward him. “Thank you,” he says, safely slipping it into his pocket. “I don’t know what I would have done without it.” He tips his umbrella, so that it shelters me as well. “Your Great American novel?” I guess. The driver of the Advanced Transit bus honks twice. We both turn in the direction of the noise. Josef pats his pocket. “It’s important to remember,” he says. In a town the size of Westerbrook, which was derived of Yankee Mayflower stock, being Jewish made my sisters and I anomalies, as different from our classmates as if our skin happened to be bright blue. “Rounding out the bell curve,” my father used to say, when I asked him why we had to stop eating bread for a week roughly the same time everyone else in my school was bringing hard-boiled Easter eggs in their lunchboxes. I wasn’t picked on – to the contrary, when our elementary school teachers taught holiday alternatives to Christmas, I became a virtual celebrity, along with Julius, the only African-American kid in my school, whose grandmother celebrated Kwanzaa. I went to Hebrew school because my sisters did, but when the time came to be bat mitvahed, I begged to drop out. When I wasn’t allowed, I went on a hunger strike. It was enough that my family didn’t match other families; I had no desire to call attention to myself any more than I had to. My parents were Jews, but they didn’t keep kosher or go to services (except for the years prior to Pepper and Saffron’s bat mitzvahs, when it was mandatory. I used to sit at Friday night services listening to the cantor sing in Hebrew and wondered why Jewish music was full of minor chords. For Chosen People, the songwriters sure didn’t seem very happy). My parents did, however, fast on Yom Kippur and refused to have a Christmas tree. This was a seemingly random observation. My father’s mother lived in an assisted living community. She had been born in Poland and still had an accent that made it sound like she was always singing. And yes, Grandma Minka wore sweaters, even when it was ninety degrees out, but she also wore too much blush and leopard prints. It took me a moment to realize what my mother was telling me. My father’s mother had been in a concentration camp? How had I made it to age twelve without knowing this? Why would my parents have hidden this information from me? We had studied the Holocaust in social studies class. It was hard to imagine the textbook pictures of living skeletons matching the plump woman who always smelled like lilacs, who never missed her weekly hair appointment, who kept brightly colored canes in every room of her house so that she always had easy access to one. She was not part of history. She was just my grandma. That was the one and only time we ever discussed Grandma Minka’s past, although when we brought her to our house for Chanukah that year, I found myself scrutinizing her to see some shadow of the truth on her face. But she was the same as always, picking the skin off the roasted chicken to eat when my mother wasn’t looking; emptying her purse of perfume and makeup samples she’d collected for my sisters; discussing the characters on All My Children as if they were friends she visited for coffee. If she had been in a concentration camp during World War II, she must have been a completely different person at the time. The night my mother told me about my grandmother’s history, I dreamed of a moment I hadn’t remembered, from when I was very tiny. I was sitting on Grandma Minka’s lap while she turned the pages of a book and read me they story. I realize now that it wasn’t the right story at all. The picture book was of Cinderella, but she must have been thinking of something else, because her tale was about a dark forest and monsters; a trail of oats and grain. I also recall that I wasn’t paying much attention, because I was mesmerized by the gold bangle bracelet on my grandmother’s wrist. I kept reaching for it, pulling at her sweater. At one point, the wool rode up just far enough for me to be distracted by the faded blue numbers on her inner forearm. What’s that? I had memorized my telephone number the previous year in preschool, so that if I got lost, the police could call home. What if you move? I had asked. Oh Sage, she had laughed. I’m here to stay. The next day, when Josef Weber comes into the bakery at 4:30, I bring out a small bag of homemade dog biscuits for Eva, and a loaf of bread for him. “I saved you the best one of the night.” I know it’s a good loaf. You can smell it, when an artisanal bread comes out of the oven: the earthy, dark scent, as if you are in the thick of the woods. I glance with pride at the variegated crumb. We chat – about the weather, about Eva, about my favorite recipes. We chat, as Mary closes up the bakery around us. We chat, even as I dart back and forth into the kitchen to answer the call of various timers. This is extraordinary for me, because I don’t chat. There are even moments during our conversation that when I forget to disguise the pitted side of my face by ducking my head or letting my hair fall in front of it. But Josef, he is either too polite or too embarrassed to mention it. Or maybe, just maybe, there are other things about me he finds more interesting. This is what must have made him everyone’s favorite teacher, umpire, adoptive grandfather – he acts as if there is nowhere else on earth he’d rather be than here, right now. And no one else on earth he’d rather be talking to. It is such a heady rush to be the object of someone’s attention in a good way, not as freak, that I keep forgetting to hide. “How long have you lived here?” I ask, when we have been talking for over an hour. With a shaking hand, I pull my hair back from my face. I know every detail he’s seeing. The pocked drawstring of skin flapping the corner of my right eye. The silver hatchmarks cutting through my eyebrow. The puzzle-piece patchwork of grafted skin that doesn’t quite match and doesn’t quite fit. The way my mouth tugs upward, because of the way my cheekbone healed. The bald notch at my scalp that no longer grows hair, that my bangs are brushed to carefully cover. The face of a monster. I cannot justify why I’ve picked Josef, a virtual stranger, to reveal myself to. Maybe because loneliness is a mirror; and recognizes itself. My hand falls away, letting the curtain of my hair cover my scars again. I just wish it were that easy to camouflage the ones inside me. The next morning on my way home from work, I drive by Josef’s house. He lives at the end of small cul-de-sac, and I am parked at the curb trying to concoct a reason that I might be dropping by when he knocks on the window of my car. “So it is you,” Josef says. He is holding the end of Eva’s leash. She dances around his feet in circles. “What brings you to my neighborhood?” Josef asks. I consider telling him that it is a coincidence, that I took a wrong turn. Or that I have a friend who lives nearby. But instead, I wind up speaking the truth. “You,” I say. A smile breaks across his face. “Then you must stay for tea,” he insists. His home is not decorated the way I would have expected. There are chintz couches with lace doilies on the back, photographs on top of a dusty mantel, a collection of Hummel figurines on a shelf. The invisible fingerprints of a woman’s touch are everywhere. “You’re married,” I murmur. “Yes. My brother was very artistic,” Josef says softly. I pick up the vampire and run my finger over the smooth, slick skull of the creature. “Do you play?” I ask. “What’s with the mythical creatures?” I ask. Josef becomes a regular at Our Daily Bread, and I spend hours at his house, learning chess. He teaches me to control the center of the board. To not give up any pieces unless absolutely necessary, and how to assign arbitrary point values to each knight and bishop and rook and pawn so that I can make those decisions. As we play, Josef asks me questions. Was my mother a redhead, like me? Did my father ever miss the restaurant industry, once he went into industrial sales? Did either of them ever get a chance to taste some of my recipes? Even the answers that are hardest to give – like the fact that I never baked for either of them – don’t burn my tongue as badly as they would have three years ago. It turns out that sharing a memory with someone is different from reliving it when you’re alone. It feels less like a wound; more like a poultice. Two weeks later, Josef and I carpool to our next grief group meeting. We sit beside each other, and it is as if we have a subtle telepathy between us as the other group members speak. Sometimes he catches my gaze and hides a smile, sometimes I roll my eyes at him. We are suddenly partners in crime. I can feel Josef staring at me. His blunt words settle like a shroud over the rest of us. “Excuse me,” he says, and he walks out of the meeting room. “Not my rabbi. My mother’s.” I start walking toward the door. “But you believe in an afterlife?” Josef says, curious. Josef stops walking. “You tell me,” he says. I make a circular gesture in front of my face. It is a strange idea, that what happened to me isn’t my tale to tell, but something completely separate from me. I wonder if this has been my problem all along: not being able to dissect the two. “I was in a car accident,” I say. “I wasn’t the only one hurt,” I manage, although the words choke me. Josef looks at me. “Don’t we all,” he says. The next day, Josef doesn’t come to the bakery. He doesn’t come the following day either. I have come to the only viable conclusion: Josef is lying comatose in his bed. Or worse. In all the years I’ve worked at Our Daily Bread, I’ve never left the bakery unattended overnight. My evenings are ordered to military precision, with me working a mile a minute to divide dough and shape it into hundreds of loaves; to have them proofed and ready for baking when the oven is free. The bakery itself becomes a living, breathing thing; each station a new partner to dance with. Mess up on the timing, and you will find yourself standing alone while chaos whirls around you. I find myself compensating in a frenzy, trying to produce the same amount of product in less time. But I realize that I’m not going to be of any use until I go to Josef’s house, and make sure he’s still breathing. I drive there, and see a light on in the kitchen. Immediately, Eva starts barking. “You have a cold,” I say, the obvious. A twenty-five year old disfigured girl and a nonagenarian? I suppose there have been stranger duos. Twenty minutes later, I am back in the kitchen, turning off a half dozen angry timers and assessing the damage caused by my hour AWOL. There are loaves that have proofed too much; the dough has lost its shape and sags to one side or the other. My output for the whole night will be affected; Mary will be devastated. Tomorrow’s customers will leave empty-handed. I’m not sure if I’m crying because of the disaster in the kitchen, or because I didn’t realize how upsetting it was to think that Josef might be taken away from me, when I’ve only just found him. I just don’t know how much more I can stand to lose. I wish I could bake for my mother: boules and pain au chocolat and brioche, piled high on her table at Heaven. I wish I could be the one to feed her. But I can’t. It’s like Josef said – no matter what we survivors like to tell ourselves about the afterlife, when someone dies, everything is over. But this. I look around the bakery kitchen. This, I can reclaim, by working the dough very briefly and letting it rise again. So I knead. I knead, I knead. The next day, a miracle occurs. Mary purses her lips, which tells me that she hasn’t forgiven me yet. Then she picks up a slice of the bread, ready to spread it with strawberry jam. “Jesus, Mary, and Joseph,” she gasps, dropping the slice as if it’s burned her fingers. She points to the crumb. That’s a fancy term for the holes inside bread. Artisanal bread is judged on its variegated crumb, other breads – like Wonder (which is barely even a bread, nutritionally) have uniform, tiny crumb. If I squint, I can make out what looks like the shape of a face. Then it becomes more clear: A beard. Robes. Apparently I’ve baked the face of God into my loaf. The first visitors to our little miracle are the women who work in the shrine gift shop, who take a picture with the piece of bread between them. Then Father Dupree – the priest at the shrine – arrives. “Fascinating,” he says, peering over the edge of his bifocals. “Great,” the reporter says. “I’m Harriet Yarrow from WMUR. We’d like to talk to you and your employees.” While she interviews Mary and Father Dupree I ring up three baguettes, a hot chocolate, and a semolina loaf. Then Harriet sticks her microphone in my face. “Is this the baker?” she asks Mary. The camera has a red light above its cyclopean eye, which blinks awake while filming. I stare at it, stricken by the thought of the whole state seeing me on the midday news. I drop my chin to my chest, obliterating my face, even as my cheeks burn with embarrassment. How much has he already filmed? Just a glimpse of my scar before I ducked my head? Or enough to make children drop their spoons in their soup bowls; for their mothers to turn off the television for fear of giving birth to nightmares? “I have to go,” I mutter, and I bolt into the bakery office, and out the back door. I take the Holy Stairs two at a time to the little grotto at the top of the hill. It’s an area nobody ever visits – which, of course, is exactly how I like it. “You believe in God?” I say, truly surprised. After our conversation about Heaven and Hell, I had assumed that he was an atheist too. “Perhaps not.” He reaches into his coat pocket and pulls out a small photograph, its edges scalloped. He presses it into my palm. In the picture, I see a man, much younger than Josef -- with the same widow’s peak, the same hooked nose, a ghosting of his features. He is dressed in the uniform of an SS guard, and he is smiling. “But I did,” he says. Mix: Combine all ingredients in the mixing bowl of a stand mixer and mix on low speed until the flour is absorbed and the mixture is homogenous. Let the dough rest for 15 minutes. Mix for 3 minutes in the mixer scraping down the bowl if necessary. This process can also be done by hand in a large mixing bowl. Proof: Place in an oiled bowl and cover for 90 minutes (or, place immediately in the refridgerator to shape and bake the next day). Shape: Divide the dough into 6 pieces of equal weight then roll into tight cylinders, about 4 inches long. Let the cylinders relax for 20 minutes then roll them into 12-14 inch strands. Take three strands, seal the starting ends together and braid loosely, sealing the finishing ends. Place on a parchment-lined baking tray and repeat with the second set of strands. Proof: Place, covered, in a warm place for 1.5 to 2 hrs to rise. Bake: While the loaves proof, preheat oven to 350F. Egg wash thoroughly and sprinkle with poppy seeds or sesame seeds or coarse sugar and place in the center rack of the oven to bake for 30 minutes, rotating as necessary to ensure even color. Butter a large non reactive bowl for dough; set aside. Butter a 12 cup muffin tin; set aside. Pour warm milk into a small bowl. Sprinkle yeast and pinch of sugar over milk; let stand until foamy, about 5 minutes. In a bowl, whisk together ½ cup sugar, 1 egg and 1 egg yolk. Add egg mixture to yeast mixture, and whisk to combine. In the bowl of an electric mixer fitted with the paddle attachment, combine flour and salt. Add egg mixture, and beat on low speed until almost all the flour is incorporated. Change to the dough hook. Add 3 tablespoons butter, and knead on low speed until flour mixture and butter are completely incorporated, about 10 minutes. Dough will be sticky. Butter a large bowl. Place dough in bowl and cover with plastic wrap or a dish towel. Set aside in a warm place to rise until dough doubles in size, about 1 hour. If dough is not in a warm area it may take longer to rise. A simple trick to help warm your dough-place a large pan of boiling water on the lowest rack in your oven and place bowl of dough on the next highest rack. This should help the dough rise. Once dough has doubled, turn on to a well floured surface and deflate. Let dough rest for 5 minutes. With rolling pin, roll dough into large rectangle shape. Sprinkle filling over dough; roll the dough into a log and slice into 2’ pieces. Place each slice in muffin cup. Cover muffin tin with plastic and let sit for 15-20 minutes or until dough rises slightly. Bake for approximately 12-15 minutes. Remove from oven and cool on wire rack.